Home English Priya Prakash Varrier in Bigg Boss? Priya Prakash Varrier in Bigg Boss? 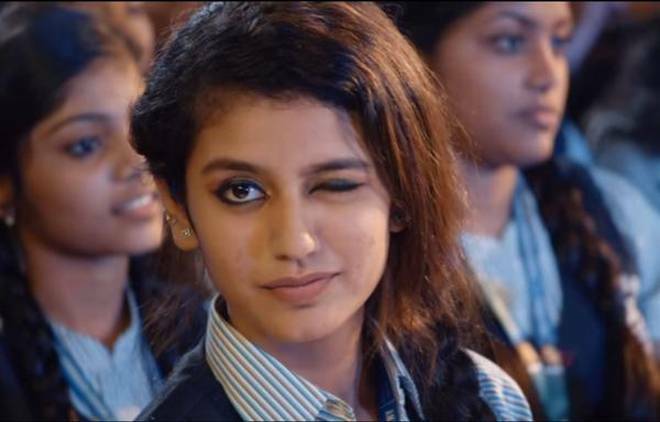 Priya Prakash Varrier turned overnight sensation with her killer wink. The Malayalam actress has become national wide rage with it. Priya Prakash Varrier is set to participate in Bigg Boss season 12 in Hindi. The reality show is coming up with a concept ‘Makers Jodi’. Couples, love pairs, brother –sister or mother – son, lesbian, gay pairs will be participating in this season. Priya Prakash Varrier along with Roshan Abdul Rahoof, her co-star of Adaar Oru Love are participating in Bigg Boss season 12. An adult star is said to be one of the contestants. Miss India (Bikini) winner Nikhita Gokhale. Milind Soman his wife Ankita Konwar, Deepika Singh of Diya Aur Baathi Hum serial fame are also among the list.